What can government do to enhance social and economic well being? Nothing, says Murray N. Rothbard. Power and Market contains the proof. It will inoculate the reader against the even the slightest temptation to invoke the state as a solution to any social or economic problem. It is ultimate manual for completely de-mystifying the myth of the state. This beautiful new edition is the first to truly do it justice. The Rothbardian claim is perhaps the most radical made in the history of political economy. But how can it be convincing? What must an author do to back up this claim? Here is what Rothbard did. He systematically classified every form of intervention into three types: autistic, binary, and triangular. Within each category, he discusses their ill effects, and does so with precision and insight. Free market scholars have been using and expanding on his insights for years. But in this book we have the source. He is like an expert house inspector examining the edifice of the state. Brick by brick, nail by nail, he shows that it is fundamentally unsound. The seeming edifice is really a house of cards. 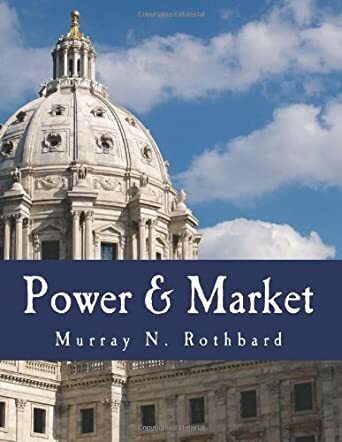 This book is the ideal answer to the person who says: "I favor free markets but…." and then proceeds to advocate some intervention they believe to be helpful. Rothbard shows that it is not helpful, no matter what it is. And he provides the logic for understanding how all forms of government aggression make society worse off. Some of the topics covered: price control, compulsory cartels, licenses, quality standards, safety precautions, tariffs, child labor laws, conscription, subsidies to unemployment, subsidies to employment, base-point pricing bans, conservation, antitrust laws, patents, public utilities, eminent domain, wage taxes, corporate taxes, capital gains taxes, property taxes, progressive taxes, the single tax, government ownership of anything, and all forms of government spending. Within each category he lays out the rationale for why the measure must fail.